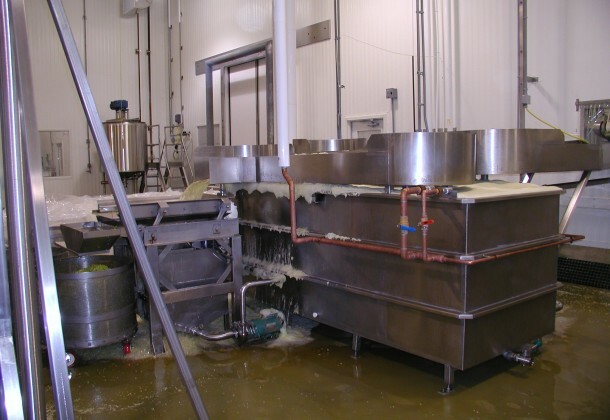 Clean and chill your product quickly with a Flume designed by CMI. 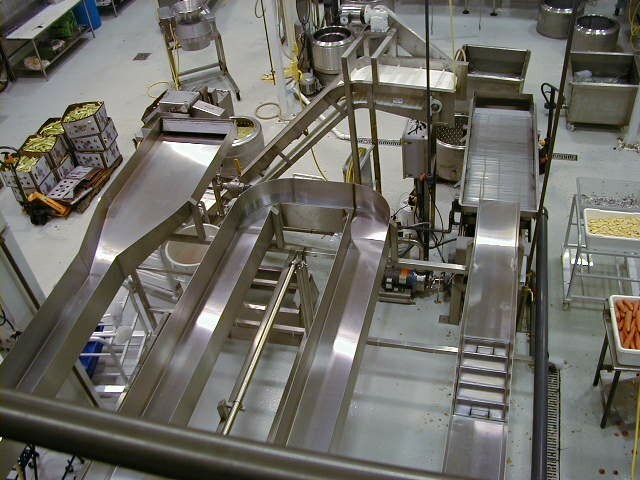 A Flume is a formed channel ideally used to transport product over long, winding distances. It is a user friendly piece of equipment with minimal maintenance. The Flume is powered mostly by gravity and a single pump to supply water at the infeed. With all the exposed surfaces, clean up is a breeze. The Flume works great for shredded, chopped, and whole leafy greens. 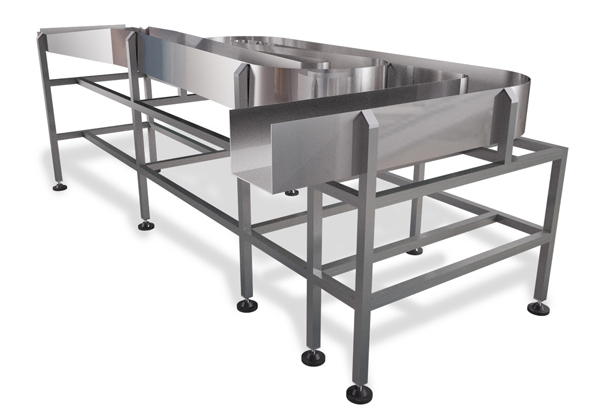 Our Flume system is also perfect for sliced, diced, and whole fruits and vegetables. Product can be cut directly above the flume entry, or another piece of equipment such as a belt or shaker can be used to feed the system. 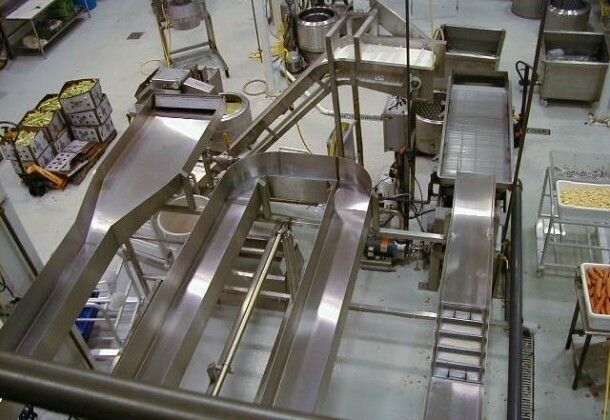 CMI’s Flume systems are of stainless steel construction and can be tailored to fit your facility’s equipment layout and capacity needs. Optional additions such as spray bars, dewatering screens, and covers are available by request. 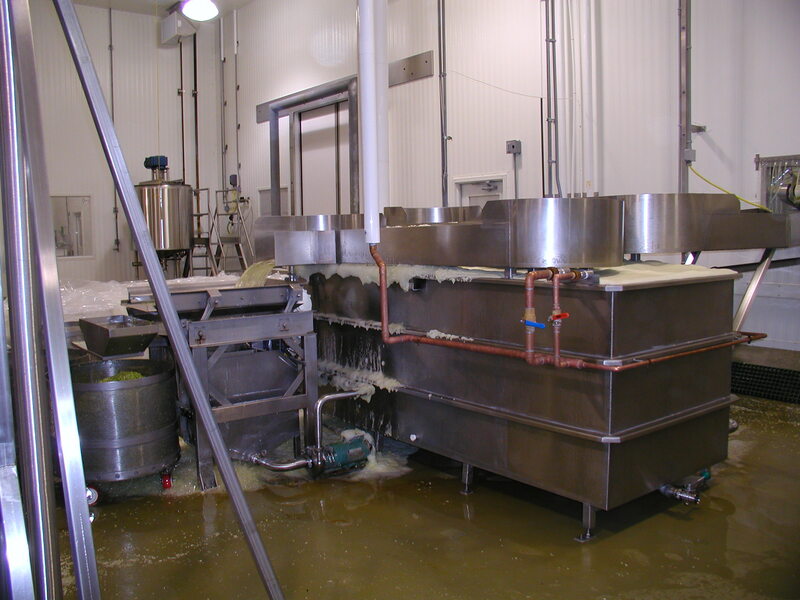 CMI can also supply additional equipment to optimize your washing system such as Dewatering Shaker Tables, Plate Chillers, and Conveyors. Contact CMI now to get started on your customized Flume system.